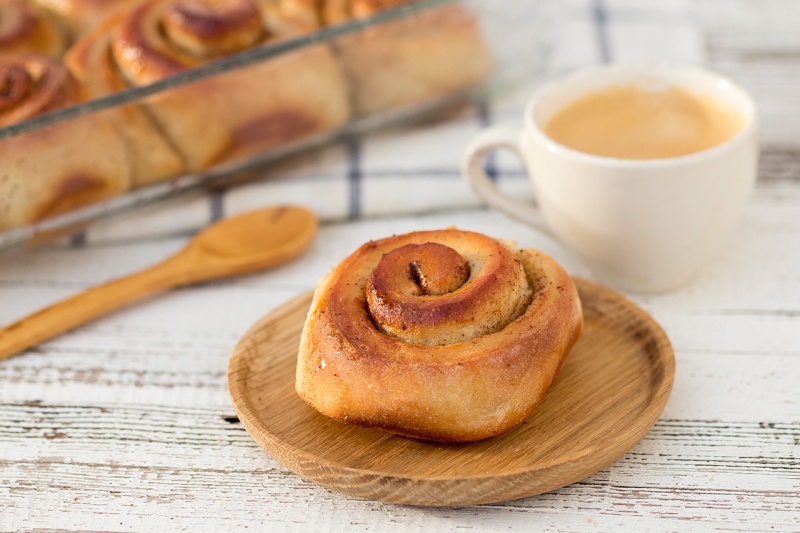 FOR AN IMPROVED & REFINE SUGAR-FREE RECIPE check out our most recent cinnamon buns post. When we used to live in London, we lived 15 minutes from a Scandinavian bakery that served the most delicious vegan cinnamon buns. London can be a very stressful place to live and work, but when you’re sitting in a little cafe with a warm vegan cinnamon bun (or two) in front of you and a cup of coffee in one hand, suddenly the world seems a far happier place. The British equivalent of the cinnamon bun is the Chelsea bun, which uses dried fruit (often sultanas) and slightly less cinnamon. Personally, I wouldn’t turn down either, but as a self-confessed “cinnamon fiend” and a great lover of all things Scandinavian, I prefer the original vegan cinnamon buns (which is what this recipe is for). 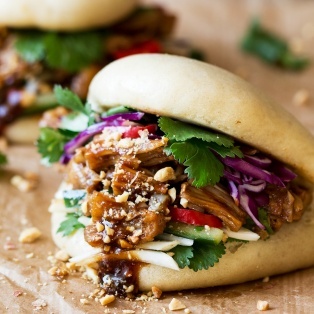 Despite this recipe being vegan (and containing no eggs or butter), these buns are light, fluffy and indulgent. 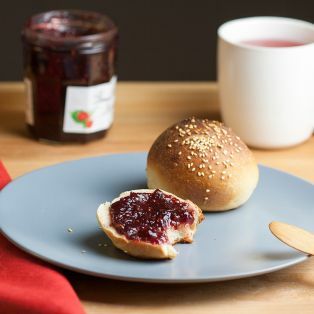 Even though at first glance the recipe looks a little fiddly, these buns are actually surprisingly easy and satisfying to make and the perfect thing to get your kids involved in. Once you have turned what is fundamentally a standard bread recipe into these soft, white scrolls of Scandinavian delight, you’ll be wishing you had baked more than 12! PS: If you make my vegan cinnamon buns, don’t forget to tag me on Instagram as @lazycatkitchen and use the #lazycatkitchen hashtag. I love seeing your takes on my recipes! Mix the flour, salt, yeast, and sugar in a large mixing bowl. Pour in the lukewarm (not cold!) 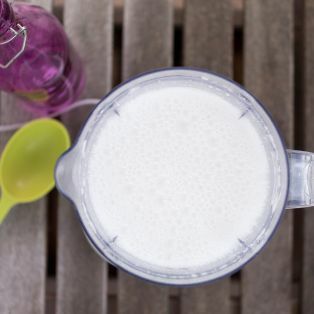 almond milk and stir everything together with a large wooden spoon. Then add the olive oil and integrate. When the mixture has mostly stuck together turn the mixture out on to a work surface or bread board. 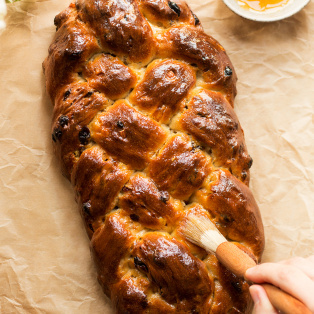 Knead the mixture by holding one end of the dough in one hand and stretching it out with the other hand. You then reform the dough, turn it 90 degrees and start again. Repeat this for 10 minutes. When the dough is shiny and smooth, put it in a large mixing bowl, coat in a thin layer of olive oil and cover the bowl with a tea towel. Leave this in a warm place (but not too warm – ie not next to an open fire!) for between one and two hours (until it has doubled in size). Empty the dough out on to a work surface and push the air out with your fingertips. Roll the dough flat until it is 40-45 cm wide and 18-20 cm high (photo 1). Coat the dough with olive oil making sure to cover the entire dough. Sprinkle a layer of sugar on the dough and then a layer of cinnamon – these will stick to the olive oil (photo 2 and 3). 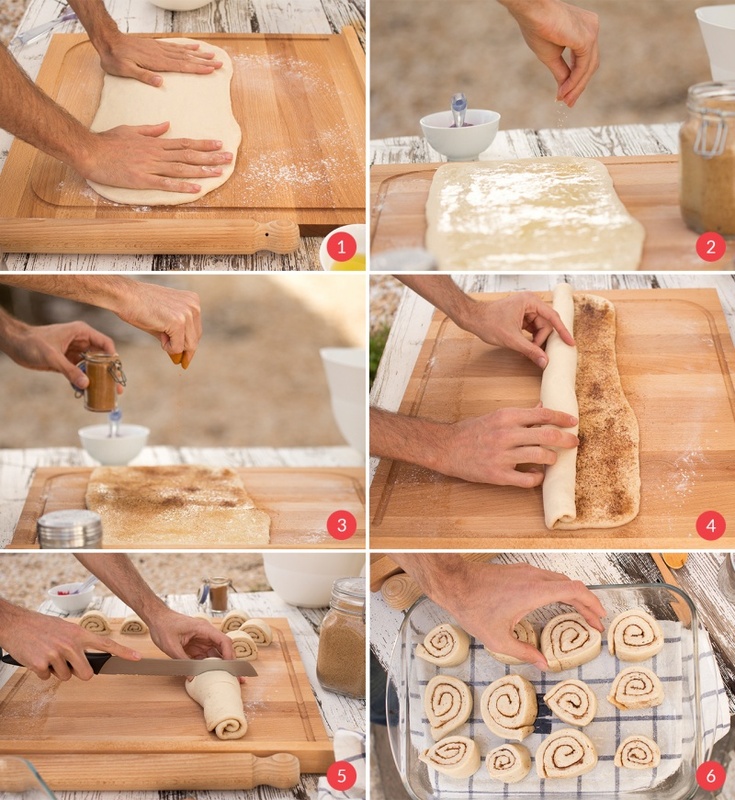 Starting from the bottom, roll the dough tightly so that at the end you have one horizontal “dough snake” (photo 4). Cut the dough into 12 segments, which comes out around 3-4 cm per segment (photo 5). Place the segments horizontally (like a tree trunk) on an oiled baking tray, leaving 1-2 cm between each bun. If you can fill the baking tray, this is ideal (photo 6). Leave the buns (covered with a kitchen towel) to prove again for another hour. During this time preheat the oven to 180° C / 350° F.
Place the buns in the oven to bake for 18-20 minutes. While the buns are baking, create the glaze by warming the almond milk, brown sugar and cinnamon in a small saucepan. Take the buns out of the oven when they are lovely and golden, and glaze them while they are still hot. Try and use all of the glaze, and let it seep into the buns and the gaps between them. This recipe has been written by Duncan. He is the "technical nerd" and baking department of Lazy Cat Kitchen. You can read about his journey into food blogging here, his other passion running here. You can also find him on Twitter. I love how you made these cinnamon rolls a healthier option! Bravo! Made these tonight. Outstanding! Would never believe they have no eggs or dairy if you weren’t told. Awesome to hear Damien! Yes, when I first made these for a friend, he said the same thing… Ultimately the yeast creates the fluffiness so you don’t really need eggs. Glad you enjoyed! We are very pleased to hear that you like our recipe, thank you! Lazy Cat Kitchen’s Baking Department (AKA Duncan:) has confirmed that it does not have to be dried yeast at all. We picked this type as it is easy for people to use, even if they haven’t used yeast before. If using regular yeast, make sure you activate them as per instructions on the packet. 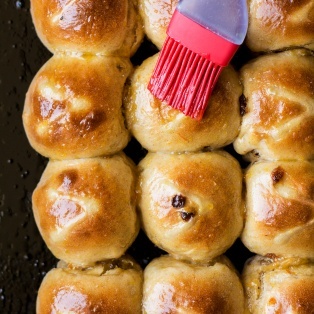 Would be awesome if you could let us know how your buns have turned out! I love the recipe, I’ve made them so many times and are a huge hit with my family! I was wondering whether you can make these overnight? Could I make them up too the second rise, then once risen put them in the fridge and then take them out in the morning and bake. Do you think that would work? Thanks for the great recipe! No worries! That’s a great question. According to the reading about “refrigerator proofing” you should be able to stick them in the refrigerator (covered) for 12 hours (IE overnight) and they should be ready to bake the next morning. Certainly “refrigerator proofing” works really well for the first proofing (I’ve done it with pizza dough), but I’ve never tried it for a 2nd proofing but the theory says it should work… If you try it I would be interested to see what would happen? 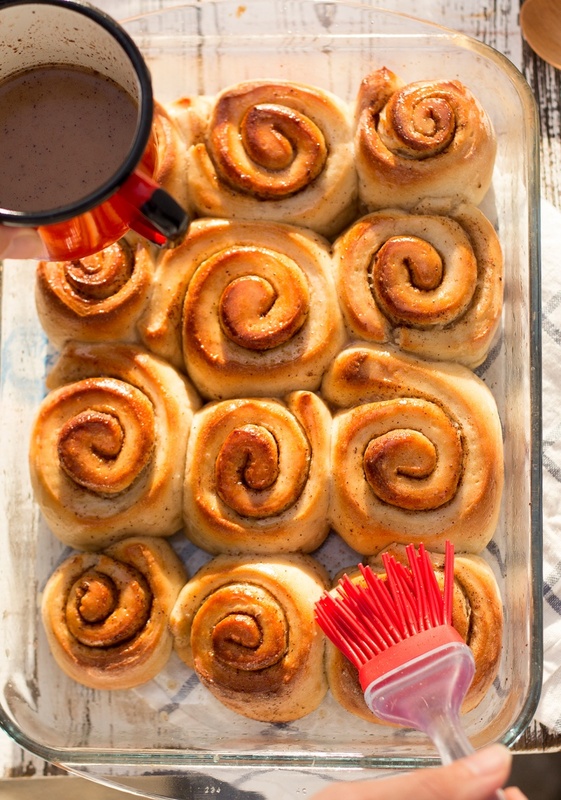 And of course the benefits of having cinnamon buns for breakfast can’t be overrated! Thank you so much for replying, I think I’m going to try that on Saturday ready for Easter Sunday! Awesome! Let me know how you get on! So, basically, strong flour = bread flour. I am not a vegan but am allergic to eggs so am always on the lookout for eggless recipes. I have just made these for the first time. They are not true cinammon buns as I am allergic to cinammon, and olive oil. But I used a mixture of vegetable oil and organic lemon oil to oil the dough after rolling out, then covered it with a mix of brown sugar and organic ginger powder. I glazed with an organic water ice, mixed with some organic lemon oil. Although I say it myself, the taste is good, and not overly sweet. Perhaps I might add a little fresh grated ginger to the sugar filling next time. The recipe made 12, albeit it a mix of sizes for this first attempt, but my neighbour is very happy as I have just given her the three biggest ones, still warm. I am from the UK by the way. Is there a way to prepare the dough in advance and then freeze it? At what stage would you do this? Looks so yummy I want them for breakfast! 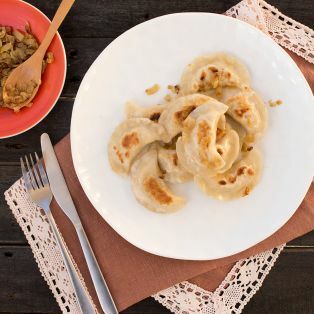 Can the almond milk be replaced with soy or oat milk, as my mum has nut allergies but would love to make these for her to be able to enjoy too. Sure thing, Alie! They should both work just as well.